the sunset in new york city tonight was insane. it really truly was the golden hour. 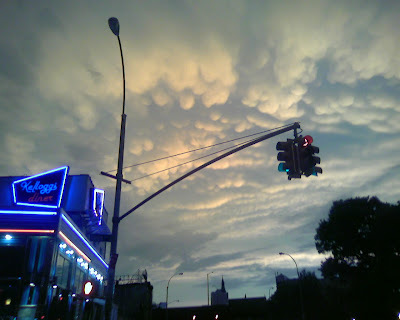 everyone on the streets of the east village was taking pics with their cell phones of the beautiful marshmallow clouds and amazing warm glow. i took these 2 in williamsburg with my treo which doesn't have the best camera and they still look pretty decent. 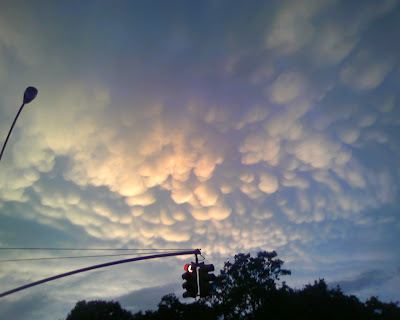 update: they are called mammatus clouds. see more here. It's nice to see your work here, Jaimes.